This special-sized book teaches all essential web technologies from A to Z. Skillfully written, extremely succinct, with a lot of tables, diagrams, examples and screen output, it touches the latest experimental technology in action. Covering some hardly documented 'tricks' beyond the basics, this book guarantees to transform an Internet newcomer to an accomplished web developer. For every web developer, it is a handy must-have. As we know, various web technologies are interconnected and it is impossible to fully master one technology without knowing another. 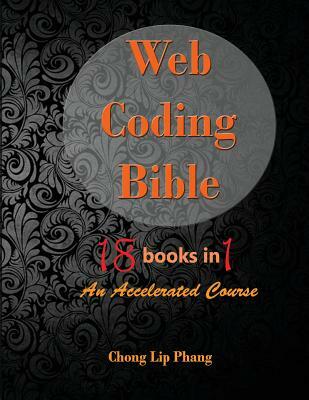 Traditionally, a serious web developer needs to rely on several books or sources when coding a website. This book represents an all-in-one solution. It presents to you a holistic view of all essential web technologies. It means spending less money and time in learning more.